A golf swing said to be an “all arms” swing is one the features movement almost exclusively limited to that of the arms. Indeed, such a swing error foregoes soliciting the hips, barely or at all. This is in contrast to a better swing that features a healthy amount of hips and shoulder turn, both coiling during the backswing and uncoiling during the downswing. The main issue with an all arms swing is that it fails to generate much in the way of power. Indeed, rather that creating and storing power while the hips are coiling back during the backswing, the failure to engage them will limit the amount of energy that can be transferred onto the ball. Another issue caused by lazily engaging your hips is that it leads to mistiming issues. This can occur when the hips were not solicited for one swing step but were for another. For example, let’s say you did indeed coil your hips during the backswing but are only swinging with your arms on the downswing. Failure to bringing your hips back towards impact will throw your whole swing into an unsynchronized mess. 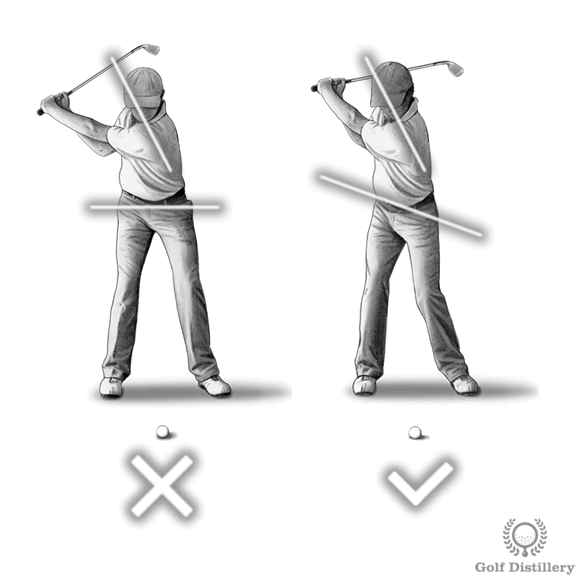 Alternatively, let’s assume you did not coil your hips back during the backswing but are correctly initiating the downswing by uncoiling your hips. The result will see your hips thrown out of position at impact, and will have for effect a high unpredictability in your shots and a wide shot scatter. One of the ways to help make sure your hips are solicited at all – and that you are not only swinging with your arms – is to engage your hips early in the swing. Making sure your hips are rotating back will shield from at least half of the problem with an all arms swing. 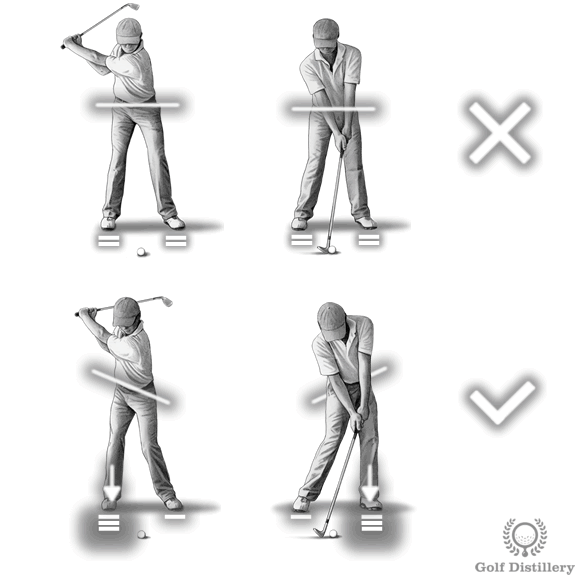 This can be done by thinking and focusing about properly shifting your weight during the backswing. 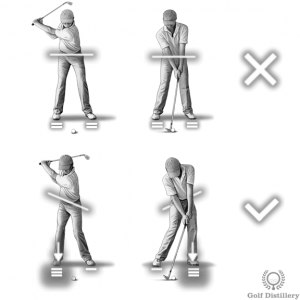 Indeed, weight can only really be transfered onto your right – back – foot during the backswing if your hips are rotating. 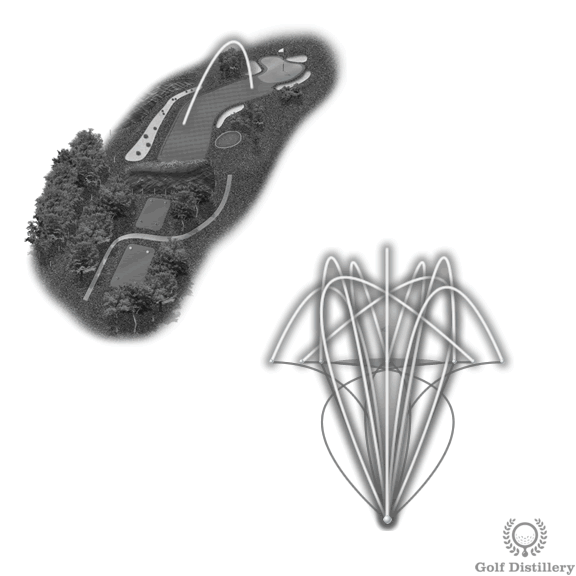 If they are not, most of your weight will still be evenly split among your two feet at the top of the swing. If weight has been transferred back correctly then the next step will be to focus on transferring the weight onto your left – front – foot at you head into impact. A process that can only truly be done if your hips are uncoiling correctly and are not staying back where they were at the top of the swing.